There is a lot of choices when designing your bathroom. 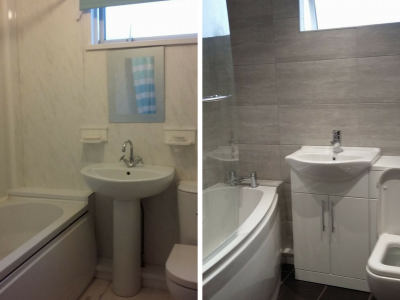 You are making an investment when undertaking a bathroom makeover, you want to make sure the products and workmanship are good quality but you also want to make sure that design and products you have chosen aren’t going to date quickly. 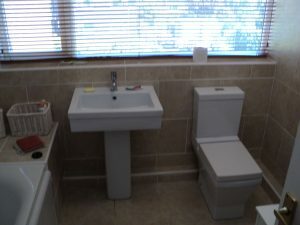 The square toilet and pedestal sink are a modern update on the more traditional rounded shape that we associate with more traditional bathroom pottery. Depending on the construction of your house you might not be able to have the pipework placed under the floor and you may need to have your pipes boxed in. You can make a feature of this and it can provide a useful self for storage. You can make a real feature of your tile choice. Larger tiles will make your bathroom feel bigger, it minimises the number of grout lines and makes it easier to keep your bathroom clean. Picking a neutral colour will also ensure that your bathroom doesn’t date quickly and you can update it by simply changing accessories. 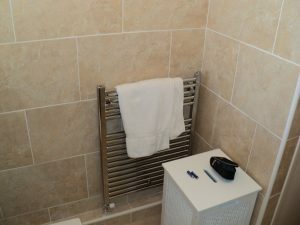 Towel rails also come in a wide variety so you can find the perfect size and style for your dream bathroom. 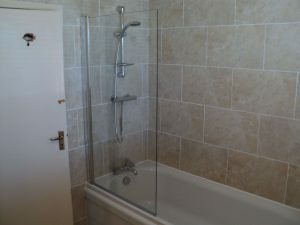 Here at Apollo Bathrooms, we offer a free plan and design service to help turn your dream bathroom into a reality. Give us a call today to book your appointment.